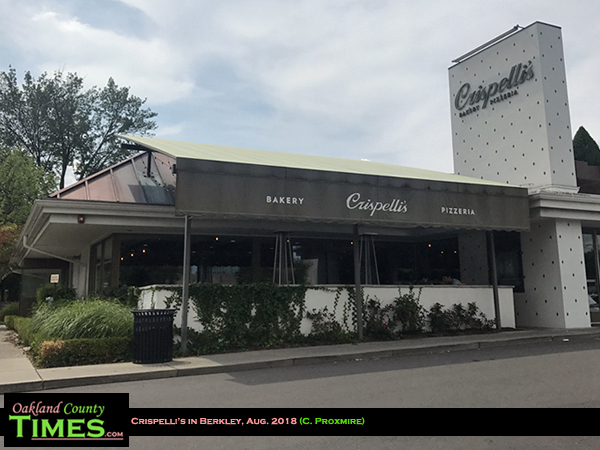 Berkley, MI- Crispelli’s Bakery and Pizzeria has locations in Berkley, West Bloomfield and Troy. 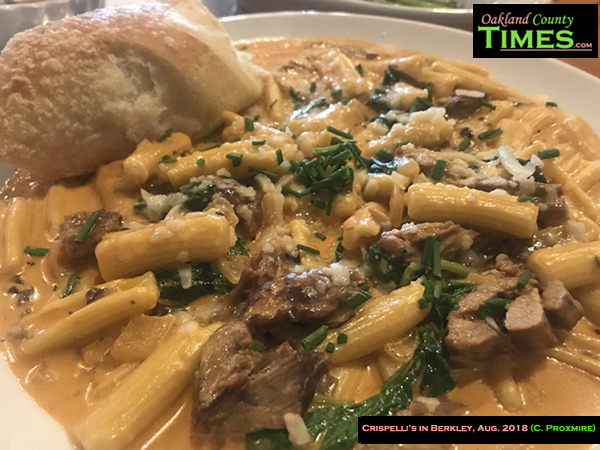 I recently had a chance to visit their Berkley location and enjoy their creamy, flavorful braised short rib pasta. 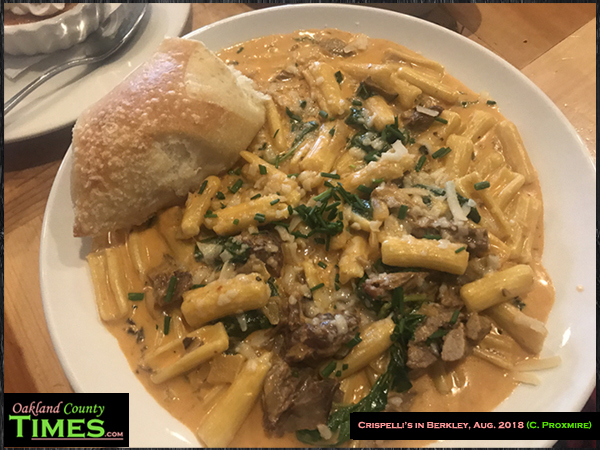 This is a creation of cavatelli pasta, wild mushroom cream sauce, wilted spinach and parmigiano reggiano served with a side of asparagus and a fresh baked roll. The pasta was good, and the bits of meat were tender and delicious. I was quite impressed with the roll, which showed me that Crispelli’s reputation for fine baking is definitely well-earned. 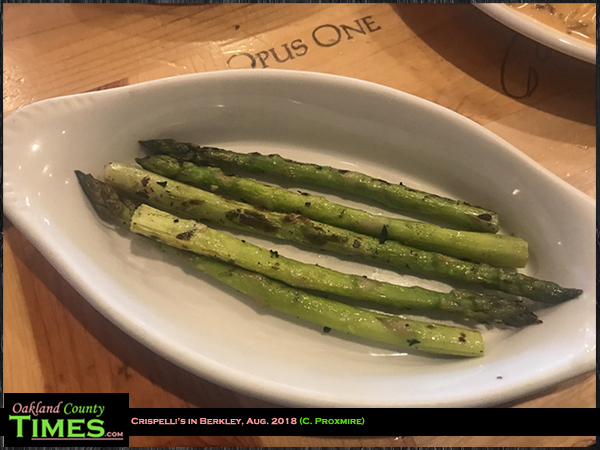 The restaurant has classy lunch and dinner options, but is also known for their breads and pizzas, which I will no doubt be writing about soon. 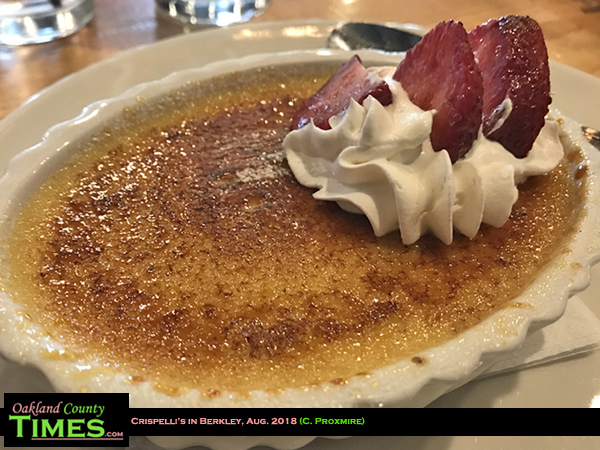 For this visit I also had dessert – one of my favorites – crème brulee.